SCP-768 came to the Foundation's attention after routine monitoring of municipal incident reports turned up a case in ███████ City, █████████ in which hundreds of fire and car alarms were set off simultaneously in a residential area. Investigation led to the discovery of SCP-768 in the possession of a Mr. ███████ ███████████. Subject claimed to have bought the clock from an online shop (████████████████████), which recommended the clock as being "fit to wake the dead". 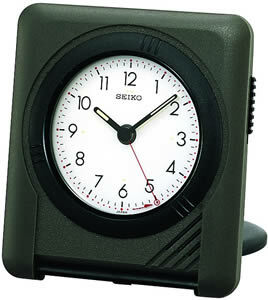 Subject passed a polygraph test, but agents failed to locate the shop in question, and Mr. ███████████ was released after being administered a class A amnestic and given a replacement clock of similar make and model. Due to the potential for triggering emergency responses, future research with SCP-768's effects must take place outside of the range of any alarm systems connected to critical systems or SCP containment alarms. During experimentation on █████ ██, ████, Dr. █████████'s heart monitor was set to an alarm state by SCP-768, causing his pacemaker to increase his pulse rate to nearly three times his normal rate. Dr. █████████ was hospitalized but fully recovered after the incident. Future experimentation must be performed by research staff without pacemakers or personal medical alert systems.